Alaska - There's no experience like Alaska in the winter! Sure, it gets cold here, but mostly what sets Alaska apart from the rest of the world is the length of the winter. If we use the first snow as the benchmark, winter arrives in September, and stays around until April. Alaskans love winter activities - whether it is dog mushing, snowmachining, cross-country skiing, downhill skiing... or something else, the Alaska Experience isn't complete until you've visited in the winter. 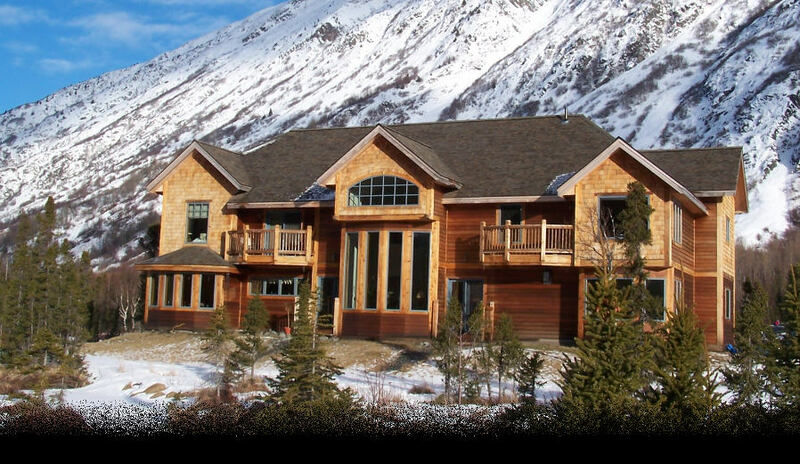 Many people ask us when is the best time to come to Alaska in the winter. Winter days in Alaska are pretty amazing no matter what, but not all days are created equal. September and October are often extensions of summer, but it can snow at any time, so planning a visit around a specific activity can be a little challenging. November, December and January are decidedly winter months, with snow and short days. Skiers love this time of year, because snow conditions improve almost daily... but a clear night can mean really cold temperatures. By February and March, the weather is moderating, the snow is at its best, and daylight is approaching twelve or thirteen hours a day. Good time to come for the fall colors. Skies are typically partly to mostly cloudy, and rain is more likely this month. Snow is generally light, and limited to higher elevations. A good time to visit Denali National Park. Fishing is excellent in many areas for silver salmon and trout. Days are short and weather continues to cool. Weather is typically partly to mostly cloudy. Snow can fall anywhere at any time. Days are getting shorter. Temperatures are still relatively pleasant, and guests that are looking to avoid the summer crowds often come in October. Typically a snowy and cloudy month. Day;ight is in short supply. By late in the month, the usual winter sports, such as skiing, snowmachining and dog mushing are available... but short days and cold weather often deter guests from these activities. Pretty dark, snowy and getting colder. Daylight hours are limited to 4-5 hours a day. Downhill and cross-country skiing are hitting their stride in December, as many places have lighted slopes and trails. Days are slowly getting longer, but January is our coldest month. Excellent skiing, snowmachining and dog mushing, but some days are just a little too cold to be outside. By the end of the month, things are getting noticeably better. Skies tend to be a lot more clear in February, and the length of the daylight is increasing fast. Temperatures are getting warmer, and just about all of the winter activities are hitting their stride. February is the beginning of "Prime Time" in Alaska. March is the month when all of our major winter celebrations occur - Fur Rondy, The Iditarod, the World Ice Art Championships, just to name a few. Weather is pleasant and clear, perfect for outdoor activities. Northern lights viewing is at its prime in March. April is the end of winter in Alaska. Snow rapidly melts at lower elevations. Activities like dog mushing, skiing and snowmachining are still available. Days are long, with up to 15 hours of daylight, clear skies and strong sunshine... but by the end of the month, the (winter) party is over! Here comes summer in Alaska!